Two masked thieves broke into a Ramona store this morning and stole an ATM, authorities said. 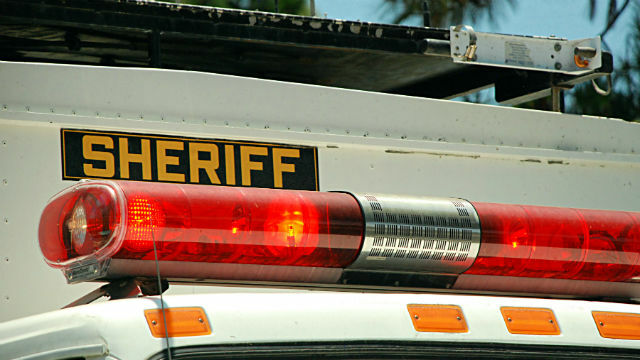 Dispatchers received reports shortly before 4:15 a.m. of a break-in at the Ramona Market at 838 Main Street, San Diego County Sheriff’s Lt. Dave Perkins said. Deputies responded to the area and found a door to the business had been forced open, Perkins said. They searched the business and did not locate anyone inside, but noticed an ATM was missing from the store, the lieutenant said. Investigators believe the suspects used a vehicle, described as a silver full-size pickup truck, to pry the ATM from the store and drag it away, Perkins said. No detailed descriptions of the suspects were immediately available.